June 5	Black Bear Crossing. This delightfully eclectic group from the Williamsport area perform Celtic, Appalachian and other traditional-style music on such instruments as Celtic Harp, hammered dulcimers, fiddle, and pennywhistle. 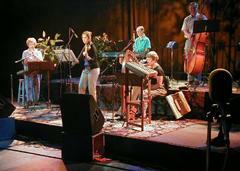 They group is set to perform in August at the Third Annual WVIA Central Susquehanna Valley Celtic Festival. This edition of Homegrown Music is an encore of their 2003 Homegrown Music debut. June 12	George Wesley. One of northeastern Pennsylvania's most consistently popular musicians, and a frequent guest on Homegrown Music going back to the very beginning of the series, Wesley returns to Homegrown Music with a new collection of his rhythmically infectious original music, with influences from reggae to country. 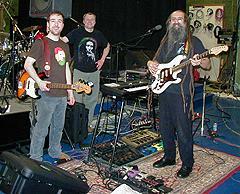 He appears with his current trio, in music that is scheduled to comprise his next CD. June 19	Bob Malone. 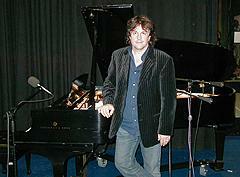 A virtuoso ragtime-style pianist and a witty songwriter with a national reputation, since his last appearance on Homegrown Music, Malone recorded a joint CD with the very eclectic a cappella group The Bobs (their first recording with accompaniment). Malone returns to Homegrown Music for a solo performance of a collection of new songs slated to appear on his next CD release. June 26	Homespun Bluegrass. This fine Northeastern Pennsylvania-based bluegrass quintet performs very much in the traditional style. Their Homegrown Music debut includes their interpretations of some bluegrass standards along with an original tune.